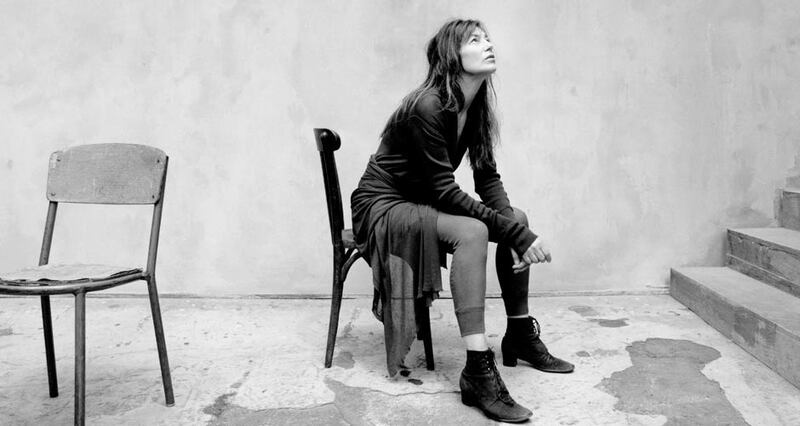 When Jane Birkin first moved to Paris at the age of 20, little did she know that she would soon become muse to one of the country’s most prolific personalities. But on the evening that she shared her first, somewhat clumsy, dance with legendary French singer Serge Gainsbourg, after meeting him the set of their film Slogan, they fell madly in love. More than 40 years later – and 20 years after his death – that love affair still lingers, as Jane continues to share Serge’s legacy through song. Touring the world with a group of Japan’s eminent musicians, Jane and her benevolent spirit will grace the stage of Brisbane Powerhouse on March 19, for an evening of Serge’s greatest works. As a child, I dreamed of … becoming a missionary in Africa. My mother was very perplexed and afraid that it would happen. I was in boarding school at the time … and I was very miserable. I think sometimes when you’re miserable, you turn to religion, and I wanted to help people. I, somehow misguidedly, thought that becoming a missionary would help. I would have rather been … a nurse, which I think I would have been not too bad at – maybe not in a technical sense. Perhaps that’s what I’ve turned into in a different way, by being able to sometimes do concerts that are like bandages for countries in distress. Sometimes when people are unhappy … the very fact that you turn up and give them a concert – I’ve done it in Burma and Kosovo and Haiti – it’s something you can do on your own and not be seen by anyone in the press. You feel less dismal about yourself by being able to do something other than just sitting watching the distress on television. I also went to Rwanda and sang for all the tribes that had been killed, just to show we cared. While many people just see me as a pin-up girl … my humanitarian side has always been there. My father was the cause of it all – he and I walked together against the death penalty in England. My father was … a war hero, but he continued saving people throughout his life. He came in the dead of night and picked people up from the Brittany coast and dropped them back to England, so he didn’t have to kill anybody – he was just like a wonderful spy. He said it was wonderful just to be able save people and it was he who taught me about social injustices. He was a probation officer so that boys didn’t go to prison for first offences – he was very against prisons and tried to get them out as soon as possible. As soon as I arrived in Paris … I walked against the death penalty – much to Serge’s horror. It was very unpopular at the time and he wanted me to be the most popular girl in France. He tried to stop me from going on the march, but I went – and then also went on another march for abortion. The greatest challenge I’ve had to face is … just surviving, really. I think to be 64 and still have people want to come to see you and to have young people queuing up to see your concerts – in places you’d never imagined they would – is amazing. Who would have thought that a rather pretty but not particularly interesting 20-year-old who turned up in France would be here 40 years on? I find it quite extraordinary given the very limited talent I had in cinema – unlike my daughter Charlotte, I was just a pretty face. 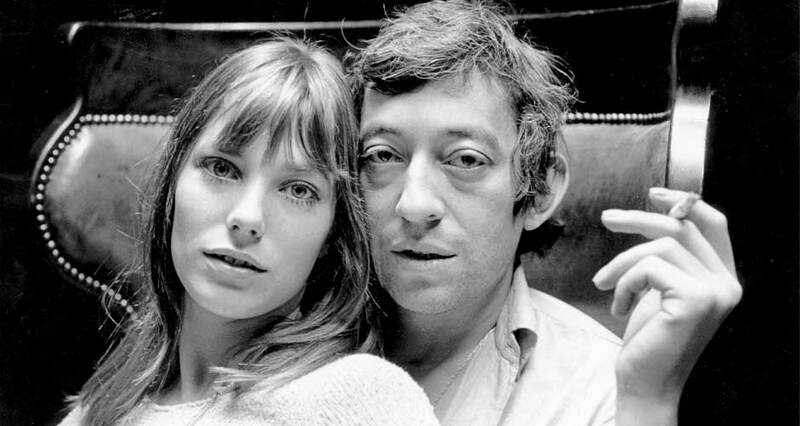 But when things got difficult … and they didn’t ask me to make movies anymore, I had Serge’s songs. They got me out of a great deal of trouble and that’s why I’m ever grateful and will go on singing his songs. Twenty years after his death, it’s my responsibility to get around the entire world with them before stopping and I probably will go on singing his songs until I die. I remember one concert … where I had too many musicians and financially it was impossible to take them all on tour. So I remember pretending to my children that I was on tour, because it was so humiliating – and that made me realise what it must be like for men and women who are out of work. It’s the most humiliating feeling to think that you can’t fill a hall and that people won’t come – that somehow you’re not worth anything. And with your own family you cheat and you lie and pretend you’re on tour in Lyon when you’re really undercover in Paris. That was when I realised … that I was going through a hard time. But it made me stronger, because I eventually went back to all those places that we had to put off on that tour and played with a girls string quartet. I fought my way through and did it in a different way financially, so that we wouldn’t ever be at that point of humiliation again. It’s like when no one asked me to make films anymore … I made my own film. And had I been asked to make another film, I would have never have made Boxes, which I’m more proud of than anything else that I’ve ever done. If life had been cushy … and I’d found a rich husband and was sitting in a gorgeous sitting room at the moment, I don’t think I’d be on the road now. But a great way of not feeling lonely is going off with a load of Japanese musicians and having wonderful fun and not having to be directly responsible to my own children anymore – maybe to my grandchildren, but I’ll make it up to them! To actually be on the road and be constantly occupied stops me from probably being very depressed on my own. I could write a book about my memoirs … but I just don’t feel inclined to do it – not yet anyway. It would be more interesting perhaps to publish my diaries from when I was a young girl and I met Serge – then it would be the real truth. But those are things that I always thought were for later contemplation. A while ago I became ill … and when you become ill, that’s what makes you think you should do things now, because you never know. And so I thought, well, while I’m alive and kicking and I’ve found a way to do these shows, I’m going to keep them up all year. Sometimes it’s not bad when you have to think about what you should do next. It’s always good to surprise people … and so you must never repeat yourself. If you’ve had a success, you must never do the same thing twice. The people who inspire me … are very anonymous people, mostly. I’m inspired by doctors and I used to love the smell of hospitals. My father was in and out of hospital my entire life and so, for me, a hospital is kind of a home away from home. When I see the cleverness of doctors, being able to fix things like they do, I just find it the most fascinating profession. I admire them much more than I do actors. I’m also fascinated by … writers such as J.M. Coetzee and Graham Greene. But the people who I really look up to are those who have really sacrificed – unlike myself – their entire life in order to live with the poor. Aung San Suu Kyi once gave me the advice … to be cautiously reckless. That’s such a good piece of wisdom and I’ve used it everywhere. I’m not sure I have any wisdom of my own! But if my children are sad, I tell them that there’s always another day and that things do change – they do get better. You must believe that people can change and that you can change things. It’s like the butterfly theory: even if you’re the smallest person in the world, you can change somebody else’s whole destiny in one day. Learning that made me realise that I can be of some use, even as someone who is not particularly powerful. "You must never repeat yourself. If you’ve had a success, you must never do the same thing twice."